These Florida homeowners were 3 months behind on their Chase mortgage when they started the process to save their home, they are our successful foreclosure case of the week. They were paying $2,549.56 PITI with an interest rate of 7.125%. By the time negotiations concluded the homeowners were 17 months behind and in active foreclosure – but finally they were approved for a Making Home Affordable loan modification! After successfully completing 3 trial payments, the homeowners’ new monthly mortgage payment is $1,975.23 PITI with a 2% interest rate that will increase to 4.5% for the life of the loan. This successful foreclosure case family saved $574.33 a month with no upfront fees required. The foreclosure case was dismissed and the home was saved! It really goes to show how far the banks will go to drag out the process – repeatedly asking for the same documents, shuffling clients from department to department, and making the homeowners think it wasn’t going to happen – but when a skilled foreclosure defense firm is on the job, we don’t give up on these scheming mortgage lenders! Remember, at Amerihope Alliance Legal Services, we understand how to defend foreclosure and get the best possible results. 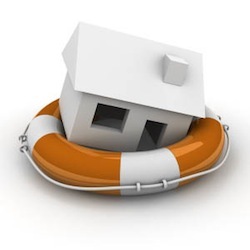 It is our goal to provide you with the legal counsel that will aid you to stop foreclosure or that will offer you the best chance at a brighter financial future. When you work with a foreclosure defense attorney at our firm, you have the backing of years of experience and knowledge regarding mortgage law and foreclosures.